We should change the titles of the next month worth of recipes you’ll see and call them “What Catherine’s craving”. I get fixated on a specific food or recipe, eat it for days straight and then move on to the next one, but during that period have to eat it everyday. 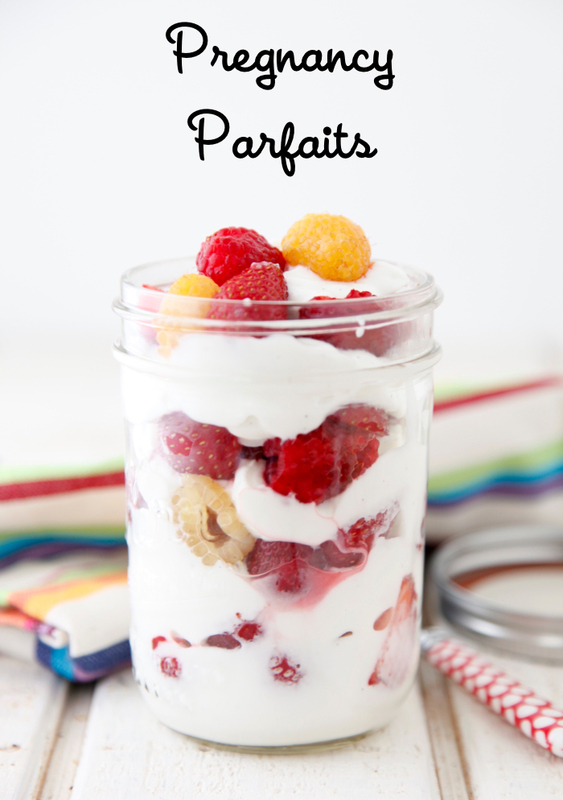 My recent yearning is for these Pregnancy Parfaits. It all started when I bought strawberries at the farmers market a few months ago and they were so soft, fragrant, juicy and sweet, you could mash them with a fork and basically turn them into fresh jam without needing any extra sweeteners. I was putting them on top of yogurt with granola or hemp seeds for the kids and without fail standing over them like a vulture stealing more bites than they were probably ingesting. 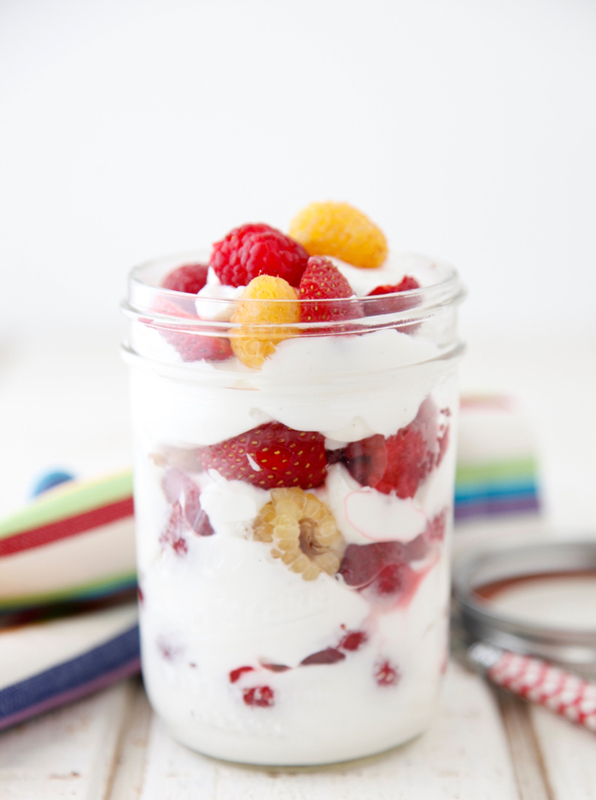 With end of the school year activities and meetings keeping me on my toes in May and June I also found myself layering these Pregnancy Parfaits in Ball jars and taking them with me on the go to make sure I was getting a protein and fruit packed breakfast or snack for my expanding belly. They just feel like a nutritious treat because they have a creamy texture, the pop of any berries you have on hand and a touch of added sweetness from honey or your favorite sweetener if you even need it. 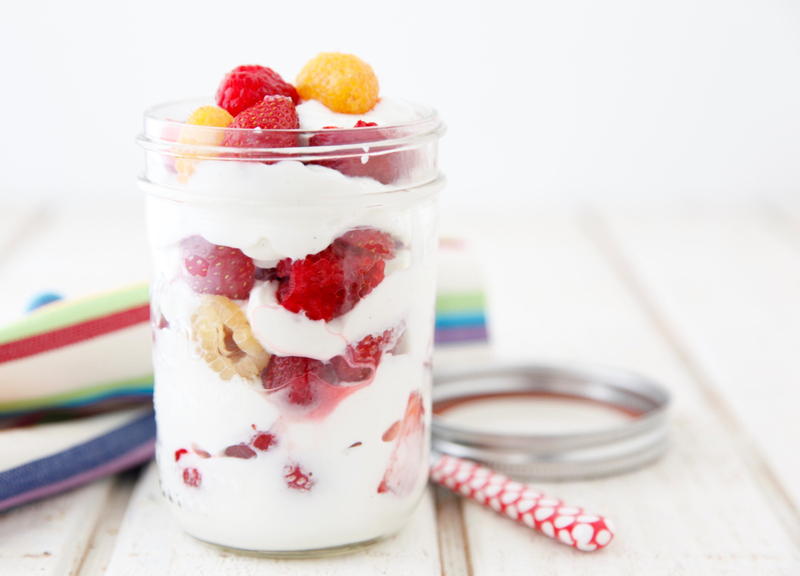 With berries being at the peak of perfection right now I highly encourage you to make a few of these to keep in the fridge any time you or your kids want special something that’s so beautiful you won’t be able to resist them whether you’re pregnant or not! 1. 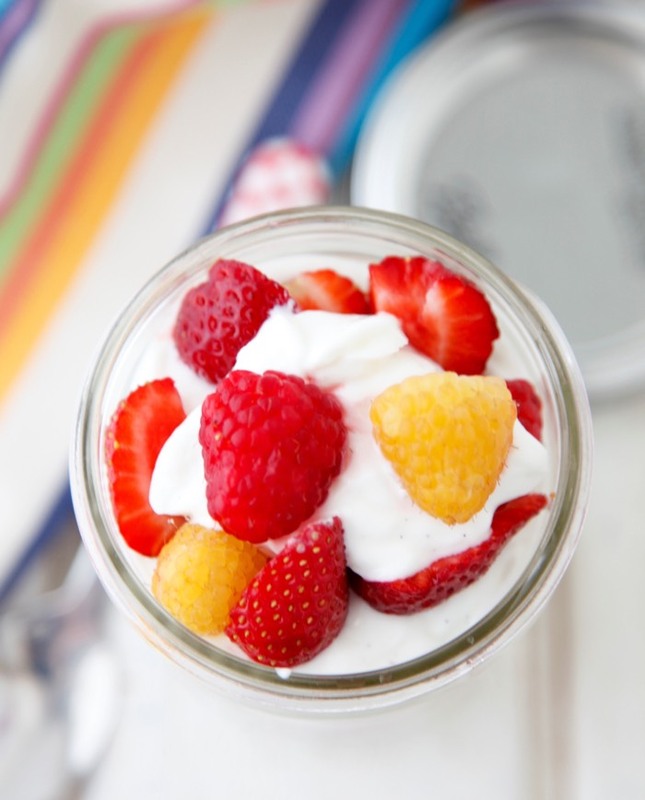 Place 2 tablespoons plain yogurt in a mason jar, drizzle with honey, top with berries and repeat 3 times finishing with berries on top. Those berries all look delicious!! I'll take one! Just watched you on the Today Show. How exciting.